The Chateau de Sours harvest in France is now in full flight and here in Australia we are looking forward to the days heating up with warm Spring weather and long afternoons in the sun. Spring is the season for all wines Rose. Chateau de Sours, from the famed Bordeaux region is a leader in Rosé production and is naturally a big supporter of the renewed global interest in Rosé. The 2010 Chateau de Sours Rosé 2010 (RRP $28) has received particularly widespread acclaim, just like previous vintages which have been described as "possibly the best Rose in the world" by a leading UK journalist. The 2010 vintage is made from two of the regions hallmark varieties; Merlot and Cabernet Franc giving the wine great richness and, as always, a mouth-watering vivacious colour. The French wine label's fine reputation can largely be attributed to the production of world class Rosé and, unlike many of the world's winemakers, Chateau de Sours proudly and intentionally produce Rosé as their flagship wine. So much so that the 2011 vintage will see this wine produced in brand new state of the art cellars designed exclusively for the production of Rosé. The Australian public's love affair with the label looks set to continue with the release of the Chateau de Sours Réserve de Sours Sparkling Rosé (RRP $28). With its delightful bright salmon pink colour and crisp, refreshing acidity, this sparkling wine is a standout summertime aperitif and a most affordable alternative to the great wines of Champagne made in this same 'Methode Champenoise'. Beneath the Chateau de Sours winery just outside St Emilion lies a labyrinth of caves used for the patient storage of the sparkling rosé. Made in this traditional method, the wine undergoes the second fermentation in bottle here, gently ageing on the lees for a minimum of 16 months. The result: a beautifully balanced and instantly appealing Réserve de Sours Sparkling Rosé, with fine persistent bubbles and a very delicate mousse; its aroma rich with ripe summer berry fruit and crushed raspberries. As winter beckons in the northern hemisphere, the sun continues to shine on Chateau de Sours as Australia embraces the Rosé Revolution once again. ** Alluring in its invigorating and vibrant European style, the Chateau de Sours Réserve de Sours Sparkling Rosé has timed its arrival perfectly. Chateau de Sours wines are now available in 22 countries worldwide and in Australia are distributed by Tyrrell's Wines. ** Australian consumers will again have the chance to take part in the Rosé Revolution events this November. Visit http://rosewinerevolution.com for event details. Carmenère, believed to be one of the original six noble grapes of Bordeaux, is now rarely found in France and has been successfully claimed by Chile as its own. Chile's dry, warm and moderated climate has proved to be perfect for this grape, producing delicious wines particularly when in the skilled hands of a winemaker like Eduardo Jordán. Eduardo is known the world over, sometimes not by name but through his wines. Perhaps the strongest brand he has made wine for is De Martino – the first winery in Chile to label a wine as Carmenère. His knowledge of this grape enables him to create wines that truly showcase this variety at its best; crimson coloured, medium-bodied wines, with tannins that are gentler and softer than Cabernet Sauvignon, and a palate full of dark cherries, black fruits, lovely spice and smoky qualities, and a freshness of black fruit skin acidity. There's not much Eduardo doesn't know about Carmenère or Chile's diverse soils or micro-climates. In fact, his full-time project is to search for new viticultural zones in Chile and he makes a habit of visiting other wine regions to update his knowledge. He extensive travels outside of Chile are how he became part of the Handpicked Wines family of winemakers. Handpicked Wines, from Two Eights Australia, is a global winery that brings together an expert team of world-acclaimed winemakers and growers to hand-craft a uniquely diverse portfolio of wines suitable for any moment; a handpicked selection of highly-regarded classics from trusted regions, varieties and vintages (such as the Handpicked Wines 2006 Cabernet Sauvignon, Coonawarra) together with exciting, emerging styles and hot trends from around the world (such as this contemporary Carmenère). Handpicked collaborates with winemakers who are open-minded, and whilst they are often champions of particular areas, they also appreciate listening, discussing and determining the best world-wide wine regions and current climatic conditions for both traditional and modern varieties. Winemakers like Eduardo Jordán, Dominique Portet, Peter Douglas and Rolf Binder, to name a few, who have helped create a handpicked fusion of wine styles – all under one brand – that wine lovers can come to for their well-known favourites or to enjoy discovering something new. And if you don't get the opportunity to discover this great Carmenère this spring, don't worry. Chilean's also celebrate the day when they were "officially" proclaimed independence (Feb 12, 1818) so the festivities will start all over again in February. Salud, amor y tiempo para disfrutarlo – health, love and time to enjoy it! 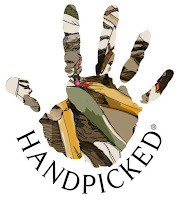 Handpicked Wines are distributed by Two Eights Australia. Available nationally though independent liquor stores. Highlighting the Riverina’s credentials to host the International Sweet Wine Challenge, it was a local wine which claimed the ultimate prize of the International Sweet Wine of the Year, the Lillypilly 2008 Noble Blend. The boutique Riverina producer, owned and run by the Fiumara family, impressively also claimed the trophy for the separate Museum Class, a class created to showcase rarer more unusual older styles of wines, with its 2002 Noble Blend. Judge Ben Edwards (co-contributor to James Halliday’s Wine Companion and President of Sommeliers Australia) said, “This year’s winner showed beautiful purity and concentration, demonstrating why the Riverina is still a powerhouse when it comes to wines of this style." Nearly 100 sweet wines were entered this year, and judged by some of Australia’s most talented palates, including Ben Edwards and chaired by Lester Jesberg (a prolific wine show judge and author of Winewise). They were also joined by International guest judge Simon Nunns (Coopers Creek Vineyards, New Zealand) who was thrilled to see a higher number of New Zealand wines entered this year; two of which, from Forrest Wines and Seifried Estate, collected Trophies. The Riverina Winemakers Association created the International Sweet Wine Challenge six years ago to highlight the quality of sweet wines around the world and allow Australian sweet wines to be judged alongside their international counterparts. The Challenge has grown in strength each year, along with the international interest and demand for sweet and medium-sweet wine styles. Canberra District Wineries are gearing up for what is set to be another fantastic Wine, Roses and All that Jazz Festival, to be held this year on the weekend of 5 and 6 November. This year 22 of the region’s wineries are participating in what will be a delightful two days of cool climate wines, smooth live jazz and the blooms and scents of spring roses, known for being successfully grown side by side with the vines. “This is a key event on the Canberra District Wineries calendar. The festival always pleases visitors who come to escape the busyness of this time of year, and relax with the sights, smells, and sounds of spring – and of course the great wines and live music we have on offer,” said festival organiser, Annemaree Schafferius of Tallagandra Hill winery. “For the locals it’s an extra reason to get out and explore the many wineries located right on their doorstep, all within 35 mins drive of Canberra city,” Annemaree continued. “This year we also have the Festival Passport available. Visitors get their passport stamped at three of the participating festival wineries to go into the draw to win one of three Canberra District mixed dozens,” Annemaree concluded. For more information go to www.canberrawines.com.au or call (02) 6205 0044. Beelgara Estate winery's Managing Director, Peter Toohey, has announced that the Australian winemaker has just recorded an increase on last year's record profit. "We are extremely proud of our 2011 results which follow on from an excellent profit result last year". Beelgara is one of the top twenty wineries in Australia and has just been awarded a prestigious five star rating from the renowned wine writer, James Halliday. This effectively ranks it amongst the elite of premium Australian winemakers. Beelgara's EBITDA for the 2011 fiscal year was circa $2.1 million, in line with the previous years results, with before tax profit up by 11% on net sales. Revenue came in at circa $16 million for the year. "The most pleasing aspect of last year's results," Mr Toohey said, "was that in a year of worsening market conditions internationally, we were able to improve our overall profit position." Beelgara has just signaled that the budgeted 2012 fiscal years profit before tax is projected to rise by 10% on prior year , a bold prediction, but one the management team is confident of delivering. Experts believe that the industry has passed the bottom of its cycle and that there will be gradual improvements in the sector moving ahead. Against this backdrop of industry sentiment, Beelgara has signaled that it is in merger and acquisition mode after its purchase of the iconic Cockatoo Ridge wine brand late last year. "Beelgara has a strong balance sheet, with minimum debt and a positive cash flow, which we intend to use to secure further acquisitions", Mr Toohey said. 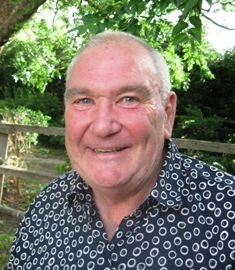 Mr. Toohey has signaled a period of expansion through merger and acquisitions to further broaden Beelgara's sales base while releasing economies through amortising surplus capacity in its 15,000 tone facility as well as having the potential to significantly increase the profit line through acquisitional cost savings. Celebrate the grape at Max's Restaurant with our partnership dinner. Beginning with Blanc de Noirs and canapes in the Red Hill Estate cellar door, be introduced to four of the Peninsula's finest cool climate pinot producers over a matched four course menu designed by Max Paganoni. Featuring tastings from Red Hill Estate, Scorpo Wines, Staindl Wines and Yabby Lake Vineyard. Come with us on our journey of discovery in Pinot with interactive detail from the winemakers about the wine origins, vineyard sites and vintage characteristics. Fabulous value at $150 per person, including wines. Established in 1989, Red Hill Estate is a multi-award winning wine producer, which boasts one of the best views from any winery in the world. Scorpo Wines strives to make wines that are complex and intense in flavour. The wines also aim to evokea strong sense of place. Staindl wines are committed to biodynamics, making small parcels of hand managed, long, textured wines from old vines. Enjoy. This spring racing season is set to sparkle with Blue Pyrenees releasing their two new sparkling wines out of the gates in time for their largest and most coveted event, the PJA Blue Pyrenees Avoca Cup. These 100% estate-grown and crafted Méthode Traditionelle sparkling wines from Blue Pyrenees will see the punters sipping trackside in style, and will be the perfect accompaniment to any lawn party this spring racing season. Blue Pyrenees is one of the Australia's 'favourites' when it comes to producing both sparkling and table wines and using tried and tested contemporary winemaking techniques combined with parcels of top-quality fruit has led this winery to be a leader in their field. The Western Victorian vineyard sites provide an ideal terroir for producing grape varietals used in sparkling wines. The company's flagship sparkling wine, the Midnight Cuvee is named after a time consuming yet worthwhile harvesting trial from the 1980's, where the sparkling Chardonnay grapes were handpicked under the light of the moon (and a few floodlights!) starting at midnight, avoiding the heat of day and delivering the grapes in optimum condition plus a bonus increase in natural acidity. This spectacular sparkling wine has benefited from 3 years on yeast lees but retains the original balance, length and fresh acidity from the night picked grapes. The harvesting and winemaking methods, including bottle fermentation, is replicated for Midnight Cuvee's non-vintage sibling Luna, and Andrew Koerner, Senior Winemaker at Blue Pyrenees is extremely proud of the results. "The quality and value of both of these wines demonstrates that Blue Pyrenees are among the frontrunners of Australian and international sparkling wine producers. From vineyard to glass, we take exorbitant amounts of care to ensure that the end result is positively memorable". delight with most Asian cuisines. CLARE Valley makers Tim Adams and Pam Goldsack have launched an interesting new label they call Mr Mick after Tim's friend and mentor, the legendary Mick Knappstein. The 2011 Rosé is also a reflection of Mick Knappstein's passion for the style, and how in the 1960s his nephew Tim Knappstein, who'd just qualified from Roseworthy College, produced a first-ever Rosé for Leasingham under Mick's stewardship, and which went on to considerable acclaim. The 2011 Mr Mick Rosé has a subtle complexity to it, with fruity raspberry, strawberry, lychee and white peach flavours… a lovely drop as an aperitif or to share with most Asian cuisines. share it with pizzas or pastas. ONE FOR LUNCH: DAN Murphy's has been appointed exclusive Australian retailer for Northern Italy's Pio Cesare that was founded in 1881, and was one of the first producers to believe in the potential of the Piedmont region for growing Barbera grapes. Long considered a poorer cousin in Piedmont, Barbera is now the second-most planted grape in Italy, and is fighting a rear-guard action to prove itself as more than just fruit for budget-wine making. The 2008 Pio Cesare Barbera d'Alba is one of these new quality Barberas, with delightful ripe plum and blackberry flavours. Pay $29.99 at Dan Murphy's and enjoy with its homeland food favourites of pizzas and pastas. October is all about food in Sydney. With the Crave Sydney International Food Festival in town and record numbers of new restaurants and bars opening across the city, there really is no better time to take a bite out of Sydney’s food scene. We hope you’re hungry! After a challenging 2011 vintage, the Orange region is beginning to see the results of judicious vineyard management with the release of the 2011 whites. Angullong has recently released their 2011 Angullong Sauvignon Blanc ($17.00) and 2011 Angullong 'Fossil Hill' Pinot Gris ($22.00). "Orange has been making some serious in-roads over the past few years," explained Angullong owner, Ben Crossing. "The region, as a whole, has received numerous awards for our Sauvignon Blanc and Pinot Gris wines." "The winemaking and vinicultural experience and knowledge is continuing to grow, and with it, the quality of the wines increase. If we'd had a vintage like 2011 five years ago, it would have been a different result. In a relatively short timeframe the region has substantially increased its understanding of its winegrowing. This, along with the fantastic collaboration between winemakers, has helped the quality immensely." 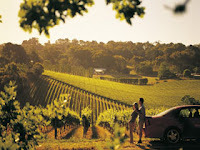 "The latest news from 'NSW Wine' is indicating that there has been further, substantial growth of NSW within NSW. There is some NSW wine parochialism starting to creep in. We have certainly seen this with a steady increase in the quantity of these wines that we are selling." Both the Angullong Sauvignon Blanc and Pinot Gris were made from grapes grown on the Angullong vineyard, situated on the southern fringe of the Orange GI, with a small portion of fruit from higher up the mountain. "A small parcel of fruit from around 950 metres helps add another layer of flavour to these wines," commented Ben. "Our vineyard captures the riper profiles of the varieties, whilst the higher elevation vineyards add some further depth and structure to the finished wines." The Orange Wine Region is preparing itself for another week of wine education, tasting, food matching and judging, with the annual 2011 Orange Wine Week set for October. diverse wine and food culture and allow visitors to meet the talented wine growers and producers from the region. Friday 21st October, 5.30pm to 7.30pm, Orange Showground Pavilion. The Orange Wine Show results booklet will be hot off the press and visitors will have the opportunity to discover the award winning wines, poured by the winemakers and vignerons. This is a unique experience to get up close and personal with the people who grow the grapes and make the wine. Cost: $35.00 per person. Thursday 27th October, 1pm to 7.00pm. Tour three Orange Region vineyards from the 600m start of the region to the 1100m summit, with the region’s best food and wine. The tour will show region’s varying soils, climate and the altitude that makes up the cool climate wine style of Orange. Cost: $65.00 per person. Friday 28th October, 5.30pm to 8.30pm. This street market features a plethora of wine and food stalls, a children’s entertainment area, table seating in the street and a full line up of local live entertainment. Free entry. The Cellar Door grazing trail allows visitors to experience the region’s cellar doors at their own pace. Every cellar door will be open, and those participating in the grazing trail will be offering simple yet flavoursome local dishes at a price not exceeding $10.00. This is a perfect way to experience the region through its wine and food. Orange Wine Week offers visitors a broad range of experiences within the region. From casual family entertainment to educational opportunities for the serious wine lover, the week offers visitors a chance to discover and enjoy Orange’s emerging wine culture. The Lusby family has long maintained a love affair with Italian wine and cuisine, and recognising Australia’s shared passion for the Tuscan lifestyle, Tintilla Estate pioneered the planting of the famed and food-friendly Italian grape variety Sangiovese in the Hunter. These two new handcrafted wines exemplify Tintilla’s flagship variety; one that has certainly found itself at home in the Hunter due to the region’s climate and soil profile resembling that of the vines’ native Tuscany. Lively and full of flavour, the Tintilla Estate Tarantella (RRP $30) is an intriguing blend of Sangiovese, Cabernet, Merlot and Shiraz, giving it a deep colour, rich berry flavour and soft tannins that dance in your mouth. The Tarantella takes its name from the frenzied “spider dance” of ancient Greek and Italian celebrations, later adopted in the Southern Italian region of Puglia. It was believed that a deadly spider bite could be cured by dancing the whirling ‘Tarantella’ to the beat of loud percussion music! As the nights heat up and the days grow longer, another wine that will get you dancing this spring is the Tintilla Rosalind Sparkling Blush (RRP $28). The Sangiovese grapes produce a wine that is brilliantly translucent in appearance, with fine bubbles and crisp aromas of strawberry and watermelon. This blushing beauty is the ideal fizz for the festive season and is sure to hit the ground running as Australians once again embrace the Rosé Revolution*, celebrating the pale and delicious European styles that have begun to grace our shores. Passionately integrating family, food and wine, the Italian way of life seems to be a winning formula at Tintilla Estate. Father and son winemaking team Robert and James Lusby perfectly demonstrate the versatility of Sangiovese with these two wines. Tintilla wines available online at www.tintilla.com.au at Cellar Door 725 Hermitage Rd Pokolbin 2320 (Ph) 02 6574 7093 or via distributor Euro Concepts Sydney. WINEMAKER Scott Comyns at the Hunter Valley's Tempus Two has created an interesting 2011 Sauvignon Blanc under the company's Copper Series label, a wine that's true-blue Aussie yet has suggestions of French Fumé Blanc about it. And by bottling the wine under an eye-catching copper label, he's done what company founder Lisa McGuigan has always sought to achieve: that is to create a wine that tastes good, looks good and is immediately drinkable. Scott used fruit from the Adelaide Hills for this wine, fermenting it in 100% French oak barrels to give it that almost-French twist that he believes will appeal to the changing palate of Australian wine drinkers. "The Copper Series is about traditional European varietals and blends," he says. "This 2011 Sauvignon Blanc is hugely exciting with its Australian and French twists." the fridge on a warm day. With tropical fruit aromas of lychees and gooseberries and a smooth palate that's got a touch of creaminess to it, this is a nice drop to enjoy with a Caesar Salad, or try it with white fish pan fried in lemon butter. Pay $19.99. ONE FOR LUNCH: ANOTHER Hunter Valley boutique maker, Ballabourneen has released a 2011 Gamay Noir that's one of those lighter-bodied reds we agree with its maker shows every good reason for serving out of the fridge now that warmer days are heading our way. Made from fruit from one of Australia's few plantings of Gamay, this almost-Beaujolais style wine has beautifully fine dark-berry flavours and a touch of cherry sweetness. Pay $25, and as maker Daniel Binet suggests, chill it down a bit in the fridge, and enjoy with cold herb-crusted chicken and a sun-dried tomato salad, or if you prefer with something hot, salmon steaks with a sweet chilli sauce. Yes, it was a bit slow in coming, but we've added a 'Site Search' facility to Vintnews. Locate wine brands, types and labels instantly. Go on, try it now. Akarua Rua Pinot Noir 2010 from the famed Pinot Noir producing Central Otago region of New Zealand took home one of only 11 Gold medals awarded to New Zealand wines from more than 12,200 international entries in the UK's prestigious Decanter World Wine Awards 2011. Notably Akarua Rua 2010 has also been named Number 4 wine on Decanter's World Wine Awards Top 8 Pinot Noir List for 2011. This stellar achievement, for a newly released wine which is the entry-point in Akarua's lineup of three Pinot Noirs, only further confirms Akarua's ability to produce top quality Pinot Noir at all levels. Rua (RRP $32) is made from estate grown fruit from Akarua's vineyards in the sub-region of Bannockburn, which is widely regarded as the "jewel in Central Otago's crown". It is deliberately made in a style that can be consumed young and fresh, while retaining hallmark Central Otago characters of intense dark berry fruits, a velvety texture and soft bright finish. The Akarua range also includes a Pinot Gris (RRP $31) made in the house style which highlights the orange blossom and pear characters that the sandy loam soils of the estate has become known for. The benchmark Pinot Noir from the Akarua range is the Akarua Estate Pinot Noir 2010 ($48), which sits in the middle of the trio of Pinot Noirs from this famed estate. A wonderful vintage year is evident in the poise, concentration and balance this wine possesses. First planted in 1996, Akarua is the largest privately owned estate in Central Otago. Under second generation family leadership, Akarua has never been in such a strong position as it is today as it continues to receive international recognition, coinciding with increasing presence in markets outside New Zealand. Akarua Winemaker Matt Connell is delighted. "We are focused on providing consistently great wines from our Akarua vineyard which will introduce wine lovers from all around the world to the delights of Central Otago wines." 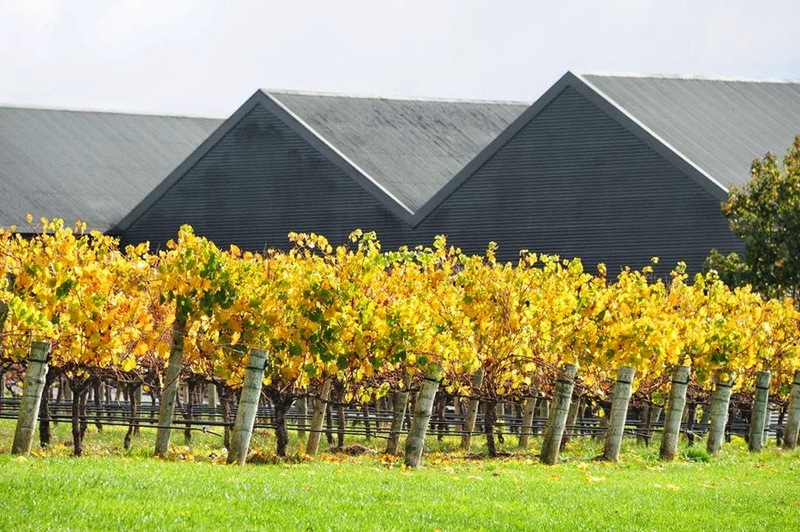 Akarua has enjoyed a string of successes with their 2009 vintage wines; Champion Pinot Noir Trophy at the Royal Easter Show 2011 for Akarua Pinot Noir 2009 and Gold Medals in the Air NZ Wine Awards 2010 and the NZ International Wine Show 2010 for Akarua Reserve Pinot Noir 2009. The team at Akarua is confident of another great year with such a positive first showing for the 2010 vintage. Also recently released from the Akarua portfolio are the new vintages of Akarua Pinot Noir 2010 and Akarua Pinot Gris 2010. Now it may be construed (quite unfairly I hasten to add) as laziness, starting our great wine adventure through Australia’s 65 magnificent wine regions with a region barely 15 minutes up the road from my house. Indeed, when a blue and white ’74 kombi is what’s hoping to get you across your 20,000 km odyssey – starting with a nice, achievable distance is not an altogether silly idea. But it’s not just the fact that the Adelaide Hills are less than 20 mins east up the freeway from the city of Adelaide (if we may call it a city) that has brought us here – “the Hills” is a seriously cool wine region, as vast and varied as they come, and the old kombi has many-a-time trekked its way up and down and across and all around its beautiful winding and undulating roads in recent years. When I think of Adelaide Hills, I think of some of Australia’s best cool climate Chardonnay, Sauvignon Blanc, Pinot Noir and Shiraz (or Syrah, as many producers are going with – a homage to a more elegant style of Shiraz that the region produces). I think of superb boutique Sparkling producers hidden in its peaks and valleys, and you’ll find splashes of fine Pinot Gris, Riesling, Cabernet Sauvignon, Merlot and even the occasional surprize Cab Franc or Gruner Veltliner. It’s easy to forget, with such iconic producers as Petaluma, Shaw + Smith, and Nepenthe that the Hills really only came to life as a wine region in the seventies, though there were vineyards planted back in the 1800’s. There are few places in the world as beautiful to have lunch as The Lane or Longview. Historic, picture-book little towns like Stirling, Bridgewater, Chain of Ponds, Lobethal, Nairne, the “Little Germany” that is Hahndorf, sit perched aloft, some over 600 metres above sea level. There is gold in the hills near Woodside, there are even rumours of an underwater town up near Birdswood, forever submerged when the gorge was dammed up to create the Millbrook Reservoir. Apple and cherry orchards line the roads, and in season you could pull over and pick fresh fruit bursting with flavour right off the trees. Of course, I’m not condoning this type of thievery – I’m just saying, you could, if you were that way inclined. Climb up the trek from Waterfall Gully to the top of Mount Lofty and you’re sitting 710 metres above sea level. And if you’re as fit as me, you’ll bloody feel it! It’s 70 km from Gumeracha up north to Macclesfield down south, and you’re virtually bordering Eden Valley and McLaren Vale at each point. But it’s not the geography, the topography, or even the photography of the region that has won a place in my heart for the Hills – it’s the world class Chardonnay and rich, juicy Pinot. It’s the dream of one day buying 20 acres of rolling green hills, with a tumble-down old stone cottage that I restore and turn into a family home for generations to come. Some fruit trees, a big veggie garden, and just a few rows of Chardonnay and Pinot, to see me through my twilight years in bliss. Ah, Adelaide Hills – don’t go anywhere, I’ll be up there soon! As Bob Dylan once famously penned "the times, they are a changin'". After 12 years as barista, brewer, roustabout, cleaner, mixologist, tour guide but mostly Winemaker at Brokenwood, P-J Charteris is about to embark on a new challenge, all of his own. From his formative wine years in the early 1980's in New Zealand the magic and mystique of Pinot Noir has never been far from P-J's mind. So for many it will be hardly surprising to see P-J succumb to this lure and hang up his Brokenwood hat in favour of his fledgling Charteris wine brand from Central Otago, the second vintage of the Winter Vineyard Pinot Noir is soon to be released. 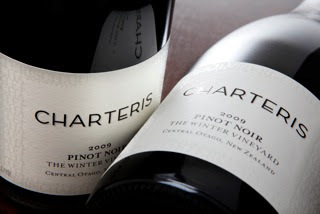 Charteris Wines will also be expanding their range in 2012 to include a single vineyard Central Otago Chardonnay and Riesling. P-J is also rumoured to be continuing his obsession with multitasking and maintains that he'll be involved with some other projects here in Australia too, under the guise of Charteris Wine Consulting. P-J's time at Brokenwood has been synergistic with the rise and rise of one of Australia's most successful small wineries. From developing new vineyard resources, embracing new grape varieties and wine styles, to the fostering of up-and-coming winemaking talent, there has always been one eye on the horizon and that next challenge for P-J. "The time is right" says P-J referring to his time at Brokenwood, which recently saw Brokenwood's Graveyard Shiraz elevated to the "Exceptional" tier of the Langton's Classification, "and what better timing than coinciding this recognition for consistency of quality with Brokenwood's recent 40th birthday celebrations. I'll be definitely leaving on a high." Away from Graveyard Shiraz the last 10 years has seen the focus on single site wines develop with benchmark results from Hunter Valley Semillon, the Wade Block 2 Shiraz from McLaren Vale and Chardonnay from the Indigo Vineyard at Beechworth and the Forest Edge Vineyard in Orange. P-J attributes much of the success of Brokenwood to the secret manifesto-like gatherings of the winemaking team around the dining table upstairs above the old winery tasting, discussing and enjoying the great wines of the world. Brokenwood has been nothing short of encouraging of P-J's career and in particular his wine show judging. As a result P-J is a respected senior judge at wine shows around Australia and has been the Chairman of Judges at the Barossa Valley Wine Show for the last 3 years. P-J was also named 'Winemaker of the Year' in 2010 at the Hunter Valley Wine Industry Awards, an award judged by his peers tells the tale of the mark P-J has made in the Hunter. 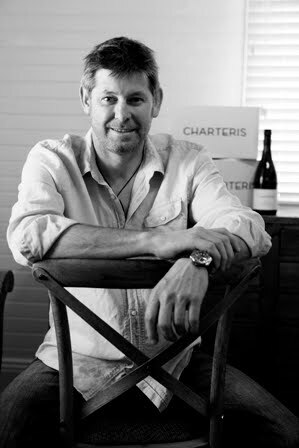 "We wish P-J resounding success with Charteris Wines and any of his endeavours in the future, he's definitely in Australia's top echelon of winemakers, so its great he can put his name and energy into his own brand" Iain Riggs, Chief Winemaker/Managing Director of Brokenwood comments. It is therefore with a fair bit of emotion and a lot of excitement that P-J makes the great leap into another chapter of this exciting and dynamic world of wine. We're sure that everyone will be watching. At last … Good news from the 2011 Vintage! Koonowla is pleased to announce the release of an exciting new wine in its range, the 2011 Ringmaster Clare Valley Riesling (RRP $15.99). Defying some of Australia's worst harvest weather conditions in recent history, Koonowla has "dodged the bullet" of the 2011 harvest conditions to release a terrific Clare Riesling. Harvested in February and bottled in June 2011, this elegant Riesling is bursting with flavour and notable floral, lime and spice aromas; perfectly zesty and well structured. This latest addition to the Ringmaster range represents excellent value for money. As experts bemoan the shortcomings of this year's harvest, Andrew Michael from Koonowla is pleased to see some good come out of the 2011 vintage "It has certainly been a challenging time, particularly for larger commercial producers. We were very lucky in that respect as being a small operation allowed us to have more 'hands on' time with the vines, and our micro-climate escaped the worst of the weather." The Ringmaster series are magnificent wines made from premium Clare Valley fruit. The 2008 Ringmaster Clare Valley Shiraz (RRP $15.99) has an intense deep colour with rich red and black berry aromas. Thankfully the region avoided the worst of 2008's heatwave; harvesting at night ensured the fruit quality was not compromised. The 2008 Ringmaster Clare Valley Cabernet Sauvignon is sure to impress when it is released in the very near future; a staple in the impressive Ringmaster range the Cabernet receives kudos for its outstanding value year after year. Koonowla is set amongst the rolling broad acre hills of the Clare Valley, being the first commercial vineyard in the region of Auburn it is a truly iconic property encompassing 250 acres of vineyard and beautiful stone buildings. Thanks to the relentless practices of winemakers David O'Leary and Nick Walker, Koonowla consistently produces top quality Riesling, Shiraz and Cabernet Sauvignon. Next week the NSW Wine Industry Association will bring together some of the most experienced palates in the country to taste a vast range of wines from the 14 diverse wine regions in New South Wales and help select which wines will be crowned the finest of the year. And the new 2011 Citibank NSW Wine Awards (newly partnered with Citibank to offer greater access for consumers and even more support for NSW wineries) are set to unveil some of the best wines ever with many reds from the cracking 2009 vintage now reaching maturity and the new whites from the recent 2011 vintage offering some of the most exciting wines around. Judging of the 2011 Citibank NSW Wine Awards takes place on the 19th & 20th September, with returning Chair of Judges Huon Hooke being joined by a host of internationally renowned wine writers, sommeliers and wine industry professionals, including the talented tastebuds of Philip Shaw, PJ Charteris, Mike De Garis, Cory Ryan and Nick Bulleid. President of the NSW Wine Industry Association David Lowe comments, "This year promises to be the most hotly contested competition yet. Last year saw some delicious Chardonnay and Semillon highlighted by our panel of experts and we are looking forward to discovering some exciting emerging varieties this year." For NSW winemakers, the Citibank NSW Wine Awards is the most serious and highly-regarded competition in their home State, with over 800 wines entered last year. However, it's not just for super-expensive wines with last year seeing 26 of the Top 40 positions being awarded to wines under $30, highlighting to wine-lovers the amazing value-for-money available in NSW. Entries to the Awards will be critiqued in two stages. In the first stage, 5 panels of judges narrow down the 800 plus entries to approximately 120. These 120 are then re-assessed by the 6 most experienced judges to determine the Top 40 NSW Wines, Trophy Winners and the coveted NSW Wine of the Year. Wines entered into the Citibank NSW Wine Awards are also eligible to receive Gold, Silver and Bronze medals. Petaluma's Bridgewater Mill ~ a heritage listed stone flour mill on the banks of the Cox Creek ~ has long been a popular destination in the Adelaide Hills, but an exciting young chef, Zac Ronayne is attracting a whole new audience to the cellar door and restaurant. The 30 year old has made the kitchen his own since he started earlier in year, whipping up stunning regional cuisine to serve with the latest Petaluma wines. The Petaluma Bridgewater Mill range which showcases the best of this cool climate region also has a new face; with a stylish label design to reinforce the Petaluma pedigree. One of the new wine releases showcasing the re-vamped label is the new Petaluma Bridgewater Mill Sauvignon Blanc 2010 (RRP $22) - we think it is one of Australia's best Sauvignons! This wine is a great example of Andrew's direction with the Petaluma Bridgewater Mill range; crisp, fresh and food friendly, with gentle winemaking allowing cool climate attributes to shine through in each variety. Asked to recommend a match with a dish from the restaurant menu, Andrew says the lifted, vibrant style of the Sauvignon Blanc is delicious with Zac's Tuna Belly Sashimi with soy and wasabi. Both winemaker and chef share a passion for their crafts and similarly a desire to allow the beauty of the regional produce to shine through in the final result; food or wine. Andrew says, "We might be biased but we feel that the Adelaide Hills is Australia's best source of sauvignon blanc. Our low yielding and mature vineyards - the Deanery Vineyard near Balhannah and the Cobbs Hill Vineyard on the edge of Lenswood - give us the perfect fruit for the truest expression of this classic variety, with beautiful citrus and apple characters to the fore." At the age of 30, Zac Ronayne is an exciting young chef with boundless energy. He grew up in the Adelaide Hills, spending 20 years there, including a stint at Petaluma's Bridgewater Mill as Sous Chef (2004-2007), before embarking on a journey to explore the best food, flavours and produce appearing on tables all around Australia. Zac spent 2 years at Nu Nu in Palm Cove QLD becoming Head Chef of the 2008 Gourmet Traveller Regional Restaurant of the Year. There he learnt a huge amount, discovering his passion for regional produce – especially fresh reef fish and tropical fruit - his love of education and sense of fun with food. The Asian influences he found in tropical Queensland tallied closely with his own background as his mother specialised in Japanese food and he has made numerous visits to Japan. He is excited to stamp his own mark on the Mill's Contemporary Australian with Asian highlights menu, emphasising his philosophy of clean flavours with a sophisticated blend of style and simplicity. Fresh and pure are the ideal adjectives when it comes to describing Petaluma's Bridgewater Mill; food, wine and region!! The winery at the very heart of the Padthaway wine region has been given a new lease on life. The Stonehaven Winery, built in 1998 at a cost of more than $33 million, has been acquired by a family consortium from Melbourne. Built by BRL Hardy, no expense was spared but just 12 years on under the ownership of Accolade, Stonehaven sold for a fraction of its cost. The sale was finally completed last month and the new family owned company now possess a 12,500 tonne winery, 35.9ha of vineyards on prime Padthaway soil, the region's most visible cellar door and the famed Stonehaven and Stepping Stone wine brands which will soon adorn the shelves in exciting new livery. The state-of-the-art facility in the heart of the Limestone Coast wine region has been operating under the management of its new owners since early 2011, and some 8,000 tonnes were produced in the 2011 vintage destined for sale in both Australia and China initially. Well known local winemaker Grant Semmens has been appointed as chief winemaker, who alongside respected fellow locals Ulrich Grey-Smith and Leisha Slattery aims to breathe new life into the Stonehaven brands while at the same time producing some exciting new ciders and beverages. The enormity of the facility will also allow Stonehaven Wines to provide an exceptional contract winemaking service to the region. "Our philosophy is to employ the best people from the industry to lead Stonehaven into a new era, and I think the pedigree of our winemaking team alone confirms that. Our plan is to produce great quality wines that are at the very least exciting and showcase the region, and at the same time develop other beverage products that are extremely innovative and engage a new consumer" says Nikki Gilhome, Marketing Manager, Stonehaven Wines. So, the future is bright for this Australian icon who has just signed a long term supply deal with a major liquor producer and distributor in Australia to produce a new range of fruit flavoured ciders which will be widely available in Australia this summer. In the meantime keep your eyes out for the new look Stonehaven, which will also hit the shelves this summer. White Classic as Houghton's White Burgundy. HOUGHTON'S White Classic is a virtual chapter in itself in the book of the Australian wine industry. Originally created as Houghton's White Burgundy by the legendary Jack Mann in 1937, it was made by him for an amazing fifty-one consecutive vintages, can lay claim to being both one of our most popular white wines and Australia's oldest consecutive-vintage white, and this year the Houghton company celebrates its 175th Anniversary having been founded in Western Australia's Swan Valley way back in 1836. The White Burgundy label had to be changed to White Classic in 2006 to comply with international wine regulations, and is today made under the guiding hand of Ross Pamment who has spent thirteen of his twenty-two winemaking years at Houghton's, and is now it's Chief Winemaker. ONE FOR LUNCH: WITH apple prices in free-fall in the early 1990s, long-time orchardist Borry Gartrell and his wife Gaye Stuart-Nairne decided something had to be done – and that something was to rip out their apple trees at Orange in NSW's Central West and replace them with wine grapes. It was a good move: today there are just 40 of the once-400 apple orchardists left in the Orange region, and Borry and Gaye now enjoy the successes of a flourishing vineyard, a restaurant and tourist accommodation facilities, with their wines made under contract by local maker Christophe Derrez; their 2006 Borrodell Pinot Noir has beautiful cherry, raspberry and forest-floor flavours. Enjoy at $38 with a country-style rabbit casserole. 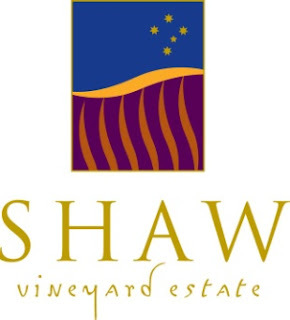 Shaw Vineyard Estate has much to celebrate this spring, kicking off with a Trophy win at the NSW Small Winemakers Wine Show for their 2009 Premium Merlot. "This wine is shaping up to be the best Merlot we have ever made, having so far won two Gold medals, two Bronze and now this Trophy" says Graeme Shaw, owner of Shaw Vineyard Estate. Although the wine is yet to be released, the wine will be previewed during the Murrumbateman Moving Feast on the October Long Weekend. The Murrumbateman Moving Feast now in its 11th year, is just weeks away and is undoubtedly the best festival of the year in the district. Held each year on the October long weekend, this year being the weekend of the 1st & 2nd October 2011, thirteen local wineries each offer a main meal and/or dessert, perfectly matched with one of their wines, and countless pilgrims make their way around the popular wine district tasting their wares and experiencing the vast range of entertainment on offer. At Shaw Vineyard Estate the Moving Feast also signifies the kick-off to the HeadOn Photo Exhibition, which Shaw proudly sponsors each year in Sydney. This year's exhibition at Shaw Vineyard Estate includes the winners of the 2011 Portrait Prize and is well worth the visit to experience photography of this quality in the region from 10am-5pm daily from 1–31 October. Then in November when the wineries and cellar doors in the Canberra region come alive with entertainment, food and of course wine during the Wine, Roses and all that Jazz Festival, Shaw are proud to announce that they have secured The Acca Daiquiris as their entertainment to top off the weekend. Well, nearly. They will also play host to Bromley Fine Arts & Collectables Exhibition on Saturday 5 and Sunday 6 November from 10am to 5pm in the Shearing Shed. On Saturday (3rd September) the team from Cumulus Estate Wines left the cool-climate of Orange NSW and travelled to the even cooler climate of Auckland, New Zealand to collect a Trophy at the 2011 New Zealand International Wine Show Awards Dinner for the new Rolling Rose. This is a very big achievement for a wine which sells for around just $17, in a truly 'International' competition, with wines from any country and made from any variety entered. The New Zealand International Wine Show is firmly established as the largest wine competition held in New Zealand each year, and hosts an impressive 24 senior wine judges, under the leadership of Bob Campbell MW, over 3 days of hotly-contested competition. The judges picked up on what winemaker Debbie Lauritz has always loved about this wine, "The Rolling Pink is made using one of our greatest assets, stunning cool-climate shiraz. Shiraz from the Central Ranges wine region has that wonderful balance of bright, primary fruit and spiciness. By picking early and in cool conditions, it's ideal for crafting a vibrant, drier styled rosé, which still holds our regions distinctive character. In particular the new 2011 vintage showcases the quality of our fruit as the slightly lower than average temperatures during the season gave us slow ripening emphasising the level and brightness of flavour and encouraging high levels of natural acidity right up to harvest." Earlier ripening Shiraz from block 51 was chosen for the Pink. Low cropping and careful canopy management produced grapes that combine a lively acidity with desirable lifted berry characters. Whole berries were left on the skins for 16 hours and the grapes were then lightly pressed and the free run juice drained off, aiming for flavour with optimum colour levels but without too much tannin pick-up. This trip to New Zealand is a well earned break for the Cumulus winemaking team, who have worked hard since the last grapes of the 2011 vintage were picked on 6th May to hand-craft wines true to Rolling's bright, fruit-driven style and created (according to the 2011 New Zealand International Wine Show judges) one of the best rosés on the market. Only the 4th vintage of this wine, it has made a real impact already having collected a total of 3 Trophies and 28 medals since first release – giving Beatrice (the young lady on the Rolling label riding the bicycle and proudly wearing the scarf of the local Orange Emus football team) something else to smile about! The 2011 Rolling Pink will be available for tasting over the next few weeks and released to the public this Summer. Perfect for Christmas BBQs or those forward planning for Valentine's Day. With two wine reviews fresh off the press and excellent results on the wine show circuit it seems like everyone is talking about Glandore Estate Wines. Another fantastic review by Huon Hooke was featured in the Sydney Morning Herald titled 'Hunter Kicks up a fuss'. An interesting article off the back of the Hunter Wine Show talking about what's old and what's new in the Hunter which is where Glandore's Savagnin comes into play. For any one who has not tried this unique variety make sure your visit the Cellar Door soon! To read more of Huon Hooke's article visit this link. Comment from the Winemaker Duane Roy "Our Current Vintage 2010 Elliott Semillon looks just as good if not better as a young wine then the 2006 did". "One of the most appealing examples I've tasting lately of the grape formally know as Albarino"
THERE probably wouldn't be more than a dozen Australian makers produce the rare Aglianico, a full-flavoured and elegant red that originated in Greece and found its way into Southern Italy a couple of millennia ago. The ever-adventurous Bill Calabria at Westend Wines in the NSW Riverina has cleverly mastered Aglianico, just releasing a 2008 that's got black cherry and ripe plum aromas and coffee and smoky notes on the palate, together with what Bill likes to call "Italianesque tannins." It will be interesting to see how it fares in the market-place here, as even in Italy, Aglianico is not grown much outside the Basilicata and Campania regions, yet being at home in very warm to hot areas it could thrive in several of our such regions. If, like Bill, you too are a bit adventurous, match his 2008 Calabria Private Bin Aglianico (at just $14.95) with one of it's homeland's favourites – spaghetti alla puttanesca (strangely it means "prostitute's spaghetti,") whose flavour-some sauce is made of garlic, olive oil, tomatoes, anchovies, capers and chilli. ONE FOR LUNCH: WESTERN Victoria's Blue Pyrenees Midnight Cuvee is one of Australia's favourite home-made Methode Traditionelle sparkling wines, and so-named after the Chardonnay grapes used in a trial harvest in the 1980s were picked under a midnight moon to avoid daytime heat, and thus deliver the fruit in optimum condition. The 2008 that's now available lives up to the label's reputation as a party-room favourite – and like those early experiments the grapes for this were also harvested at night, but under floodlight rather than moonlight. If you've a party in sight, this one's good value at $30 with its lively flavours and fresh acidity.